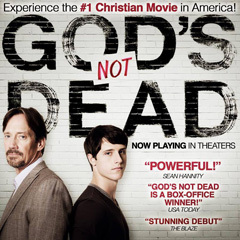 I caught a bit of an interview with conservative actor Kevin Sorbo promoting his movie, "God's Not Dead" on the Sean Hannity radio show. Sorbo lamented that political correctness operatives continue to bully Americans with little push back. He cited a recent incident in which a little girl was kicked out of school for saying "God bless you" when a classmate sneezed, punished for religious talk in school. So yes, I have this "thing" about bullies. Liberals, Democrats and the complicit MSM have hijacked the word "bully" to exclusively refer to anyone who dares to push back against their aggressive attempts to force their socialist/progressive agenda down our throats. Talk about the pot calling the kettle black, Leftists call us bullies when we reject allowing them to bully us. Very clever, insidious and evil. The TV station launched a campaign titled, "Family First." On the cover of the brochure, I used a silhouette of a traditional family holding hands; father, mother, a girl and a boy. Public Relations axed my cover design claiming it was insensitive and offensive because families come in all configurations, two men, two women and so on. There was no agenda behind me selecting the image other than it worked for the theme of the campaign. I seriously doubted that the image of a traditional family on the cover of the station's brochure would have sparked mass outrage from the public. In the Clint Eastwood movie, "Pale Rider," the locals were terrorized by bullies. They asked a mysterious stranger portrayed by Eastwood to lead them into battle against the bad guys. Eastwood consented, but also informed the locals that some of them were going to die tomorrow. Brave U.S. troops who have made the ultimate sacrifice have shown us that freedom "ain't" free. Are the fruits of freedom, self-respect and dignity, worth it? Absolutely.